What is your computer doing during YOUR vacation? Your computer provides you with a lot of assistance in planning holidays and other trips throughout the year. Remember the hours you spent on various websites looking for the perfect holiday destination? How about all of the online comparison shopping you did to find the ideal Hawaiian resort? Remember that awesome discount deal you scored on those air tickets? How could you have planned your summer trip without your computer? Summer is chill out time for many of us, but it can also be filled with unpredictable weather. In addition to all of that sun and fun, summer can also include nerve wracking concerns over hurricanes, tornadoes, heavy rains, flash floods, heat waves and power failures. If you don’t have a computer backup system in place, then consider your summer vacation as a cue that it’s time to get organized. If you really want to have a worry-free vacation, then be sure to safeguard your computer before you leave for the airport. You really don’t want to be sitting on the beach in Hawaii when you hear about severe weather warnings back in your hometown. At that point, it’s too late to prepare for a disaster. Backup for Business: A reliable backup solution is critically important for the security of your business data. Don’t forget that your business’ key asset is its data. Your business is in serious peril without your financial records, customer data and inventory files. Most business can’t survive after a major data loss. After Hurricane Sandy slammed the US a few years ago, some business owners began taking added precautions by using offsite data backup located in another part of the country. That speaks volumes about protecting your key asset. Backup Solutions for Your Home: Forget about keeping a dozen flash drives tossed in the back of a drawer. That’s not really a backup plan. Unfortunately, some home offices are guilty of using this system to retain personal financial records and irreplaceable family photographs. At the very least, have your home computer backed up by a portable drive and remember to use it! Even that practice is just a temporary measure until you set up a remote backup solution for your home office. Remember that if your computer is destroyed in a flood, then the portable drive will also float away along with the waterlogged flash drives. Vacation Flexibility: A backup solution can provide more than just security, it can provide flexibility. If you are on the beach in Hawaii or having an affordable “staycation” at home, you might need to check in with your office at some point. You can stay connected to business information, financial spreadsheets, client materials and meeting schedules via remote access. Don’t worry that you are missing out on something or feel compelled to drop by the office to pick up some files. Does your business have a summer schedule? Lucky you, because you can check in remotely and stay informed while wearing shorts and flip flops. Who doesn’t love flexibility? If a backup solution is missing from your business or your home office, use your summer vacation as a deadline to get organized. 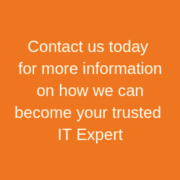 Contact an IT support specialist who can help you review backup options and make an appropriate selection based on your needs. Once that is set up – relax and enjoy your vacation. https://computertroubleshooters.co.uk/wp-content/uploads/2018/11/computer-troubleshooters-3.png 0 0 ctuk.admin https://computertroubleshooters.co.uk/wp-content/uploads/2018/11/computer-troubleshooters-3.png ctuk.admin2014-05-22 10:50:272014-09-20 19:31:32What is your computer doing during YOUR holiday?